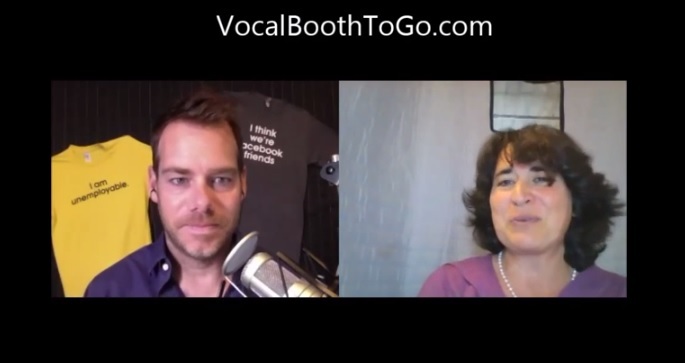 This comes from award winning podcaster Michael O’Neal during a video interview with VocalBoothToGo.com. Michael is the founder and host of a nominated 2O13 Stitcher Award Best New Show, The Solopreneur Hour – Job Security for the Unemployable. Aside from podcasting, he also is a professional drummer. The challenge of having multiple roles created a need for a professional studio space to record his podcast show but also soundproof enough so he could utilize it as a Producer’s Choice acoustic blankets – and not get into noise disturbance trouble. Worried mostly that his drumming would cause issues with his neighbors, Michael was on a mission to stop the drum sound from escaping his studio and also create an acoustically treated area to record his podcast. He turned to VocalBoothToGo.com for advice. In creating his space, Michael hung two layers of Producer’s Choice Sound Blankets around the room and also covered the windows with additional layers of acoustic blankets. This allowed him to create a completely dead sounding recording studio and soundproof his drum room at the same time. You also can listen to Michael’s award winning show at www.solopreneurhour.com.